I've been waiting SO LONG for this day!! 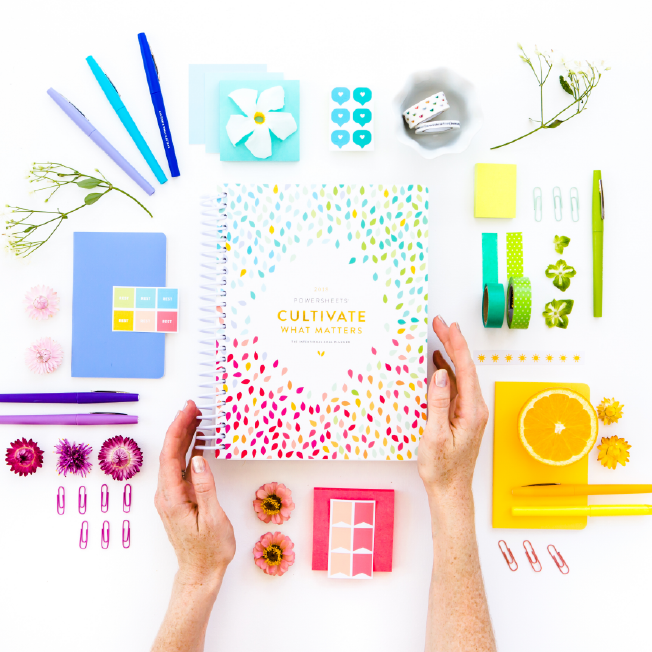 The Cultivate What Matters Shop released their 2018 Powersheets this morning! I have been using Powersheets for about four years. Although intentionally using them for the last two. One of the greatest takeaways is that Powersheets only happen when I take the time to do them. For the first two years, I was excited, but overwhelmed by Powersheets. Fear won and they sat in my desk drawer. Each year, more refining happened. Little by little progress added up! I became more comfortable realizing that it's okay to grow slow. If I want to cultivate a good thing, it's not going to happen overnight. This past year (2017), I filled out most of my tending lists - some months there were only two or three things written down and I realized THAT'S OKAY!! There is grace in goal setting. It's so freeing! I have to be totally honest. I'm the type of person who begins January on a super productive note (usually after a long Starbucks sesh with a girlfriend! ), writing out goals, prepping and dreaming about the year ahead. However, by the time March rolls around I tend to lose motivation and those goals seem to fall by the wayside. If you're shaking your head "yes" too- we've all been there, friends! Then Powersheets are for you! 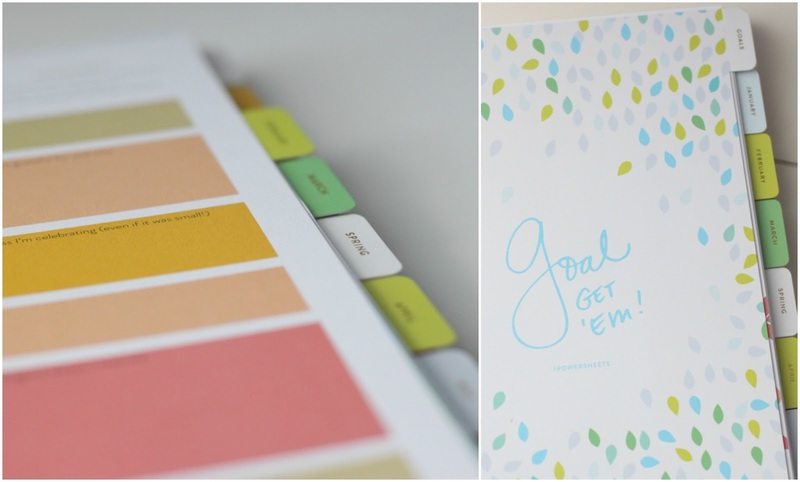 Powersheets are the ultimate goal planner. They help to uncover purpose-filled goals and plan action steps to make what matters happen. 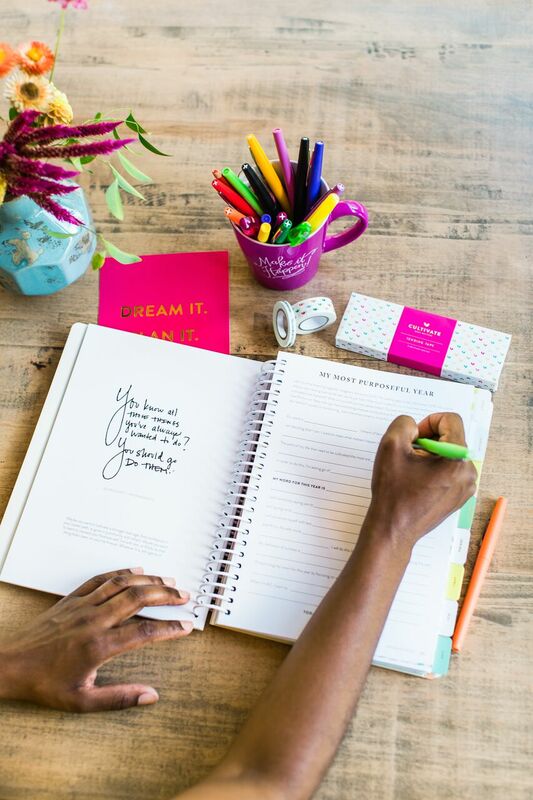 Powersheets are perfect for anyone- moms, students, creatives, and entrepreneurs. At the beginning of the Powersheets, the first section is your "prep work." 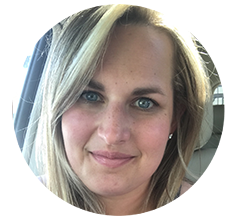 Here is you're encouraged to evaluate what has worked for you in the past year- and what hasn't, meet your fears, get inspired by what fires you up, then visualize your big picture to set goals. What makes Powersheets so unique is the prep work up front. Throughout the year it's easy to lose focus of your goals and "what fires you up". You can look back at your prep work to regain focus and clarity. This was so helpful for me this year because I was able to look back quickly and gain ideas from my well-thought out prep work to put me more inline with my goals! 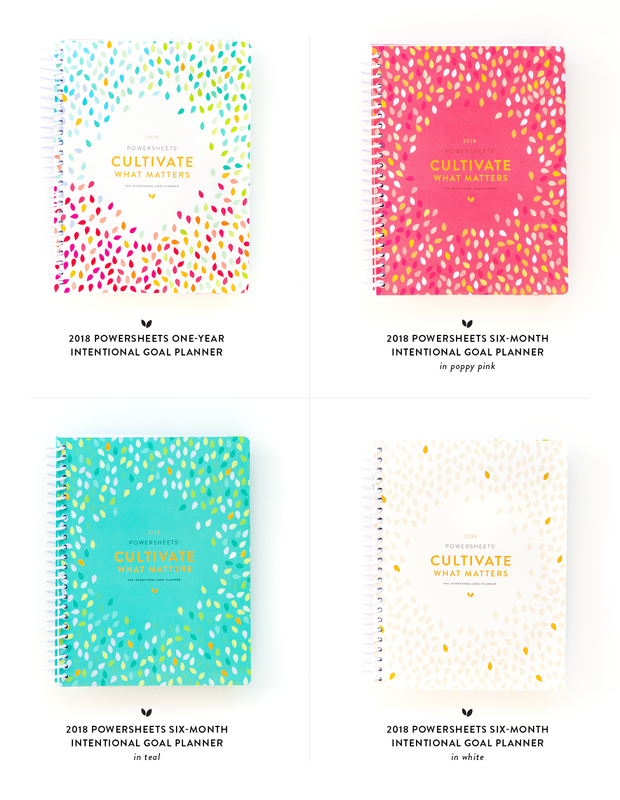 Besides the Powersheets, the Cultivate team has released TWO new products!! Tending tape + sticker books! Both are perfect for the stationary addicts!! After the stickers released, they have been such a game changer and love adding them to everything! I'm so giddy for these items and cannot wait to see them in person! STICKERS $12: 20 pages, over 900 stickers (!!! 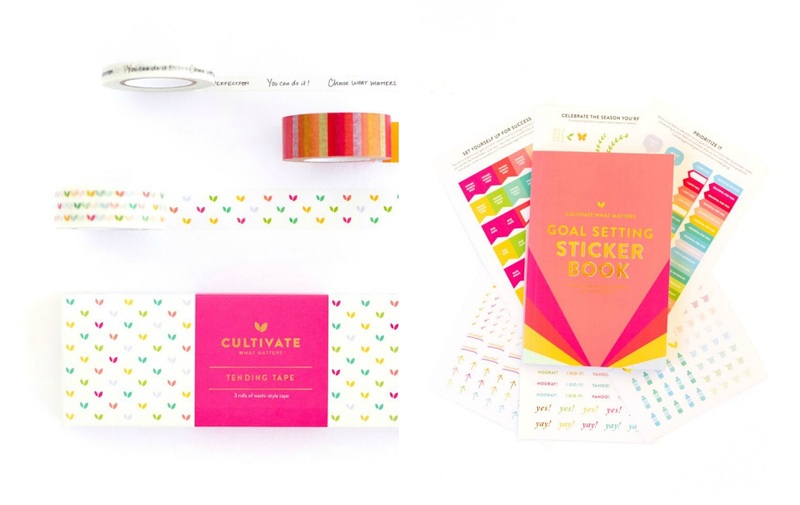 ), vibrant color and gold foil, NEW this year- color coding system helps to categorize yearly goals into monthly tending lists. If you need a few ideas how to incorporate your stickers elsewhere- read here! TENDING TAPE $12: set of three, 10 mm long, great for adding to your tending list, taping your tending list to the fridge, sealing envelopes- the possibilities are endless! If you have any questions about Powersheets or how I personally use them, please leave a comment below! I'm always happy to answer any questions you might have! Also check out the awesome FAQ page from the Cultivate team! Can't wait to see y'all cultivating what matters most!